I had dinner at Francesca's Cucina in Syracuse's Little Italy. This was part of an event I attended, so there was no ordering involved and all the food was served family style. A big antipasto salad was the first dish to come out, topped with all sorts of good stuff, including prosciutto, salami, cappicola, olives, cheeses, peppers, greens, and much more. An unusually shaped ravioli in marinara sauce came next. Then came a plate of rigatoni in a tomato cream sauce. By the time the meal was done, my plate was also filled with some chicken marsala and some sort of white fish in a tomato sauce. At the end of October, I found myself enjoying the wonderful cold weather in Syracuse, NY for a weekend. For breakfast one morning, I ended up at Bruegger's Bagel Bakery at Syracuse University. There was a Bruegger's in Altamonte Springs for a while, but I never visited and they eventually closed. After getting my bagel, I can kind of see why they were so short lived. This bagel was tiny! I was expecting the bagel to be on par with the other chain bagel places, but this wasn't even close! The everything bagel was topped with smoked salmon cream cheese, roasted red peppers, cucumbers, and red onions. It tasted good, but was just way too small! There was a nice view of one of the University buildings outside Bruegger's. All colleges should be built like this! I tried food from two different restaurants inside of Cibo Express. One was an Italian chain called Famous Famiglia Pizzeria. I also split a sandwich from the Boar's Head Deli. They had a very cool computer ordering system here. It could have been improved if they told you which sandwich toppings cost extra and which were included. I had to go back a few steps several times to remove something that cost an extra $1.50. Those extra costs added up quick, although I'm sure most people buy their sandwich regardless of the price. The sandwich turned out really good, considering it was from an airport food court. Salsalito turkey, brie cheese, lettuce, tomato, onion, and pesto all came on a semolina hero. I recently flew up to Syracuse on Jetblue. They seem to be one of the few airlines that still give any sort of snacks during their flights. Giving a nice choice of snacks and their willingness to give seconds on the food is only one of the reasons that makes Jetblue my favorite airline! Blue potato chips and Dunkin Donuts tea. Coming up next: Food in the JFK Jetblue Terminal! Earl of Sandwich is a fast food restaurant located in Downtown Disney. I found it interesting that the restaurant was actually started by the real life Earl of Sandwich and the founder of Planet Hollywood. The majority of the menu consisted of hot sandwiches. Each sandwich sold for $5.99 which is pretty good for Disney prices. No sides came with the sandwich, but still, $6 isn't bad given the location. The Caribbean Jerk Chicken sandwich and The Earl's Club were ordered. Caribbean Jerk Chicken on the left and The Earl's Club on the right. Overall, Earl of Sandwich was pretty good. The sandwiches were a bit small, but one sandwich still filled me up. As far as the price goes, these are probably one of the best values in Downtown Disney. I'll be back! On November 13, I visited the Third Annual Orlando Food & Wine Fest. It happened on a section of Robinson Street next to Lake Eola Park. The festival featured food samplings from a multitude of Orlando's restaurants, cooking demonstrations, and live music. While I was there The Redcoats were playing Beatles covers. I watched a cooking demonstration with John Zimmerman of Ruth Chris Steakhouse. Moving on to the food for sale, Kobe was cooking up their hibachi chicken. Sushi was also well represented at the festival with Shari Sushi, CRAVE, and this Spicy Tuna Hand Roll from Orlando Sushi House. There were several restaurants serving ribs. O'Charlie's had big slabs of ribs and The Boheme at the Grand Bohemian Hotel was offering Beef Ribs with Mango BBQ. Dexter's was serving up pulled pork sandwiches. Cityfish had huge Jalapeno Hush Puppies and some delicious looking Gumbo. Champion's Gate was grilling kabobs that smelled great! The larger restaurant chains were also at the festival. Panera Bread was serving soups and P.F. Chang's had rice and lettuce wraps. Anatolia Mediterranean Cuisine was one of the booths that I choose to try. I had a gyro, served with tzatziki, hummus, and pita. The lamb in the gyro was very tasty! I also tasted the food from Caribbean Sunshine Bakery. I tried the Jerk Chicken with a side of rice. The chicken was nice and tender and had a great kick to it. Out of all the food at the festival, it seemed like Caribbean Sunshine Bakery was giving some of the most generous portions. While traveling through St. Cloud, I realized it was time to eat. I spotted an Italian restaurant called Cappello's and pulled into the parking lot. 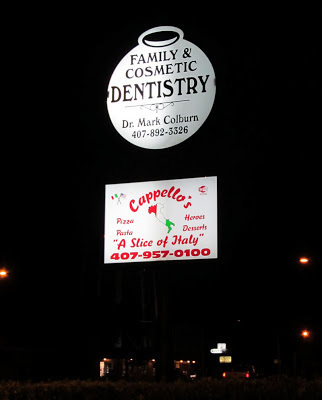 As I exited the car, I was greeted with a great pizza odor emitting from the building. At that point, I immediately knew I'd be ordering a pizza for my meal. 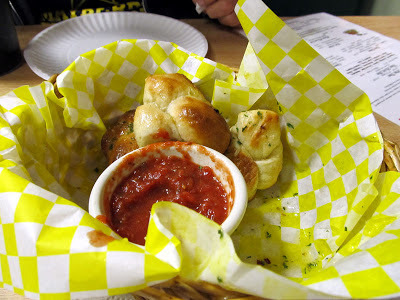 Before the pizza though, I had a garlic knot appetizer. The pizza was served pretty soon after the knots. The crust was thicker than what I expect from a NY style pie and didn't have that foldability that most 'real' NY pizzas have. 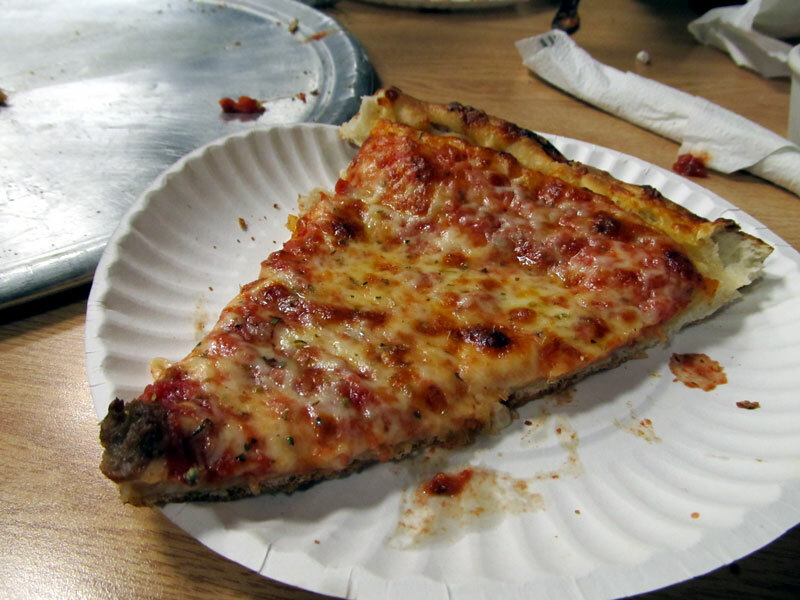 Instead of a super-thin crust, this thicker crust was light and airy and had a great texture. The cheese was nice and salty and released just the right amount of oil when cooked. What really pulled the pizza together was the sauce. It had a wonderful garlic flavor that permeated throughout the whole pie. 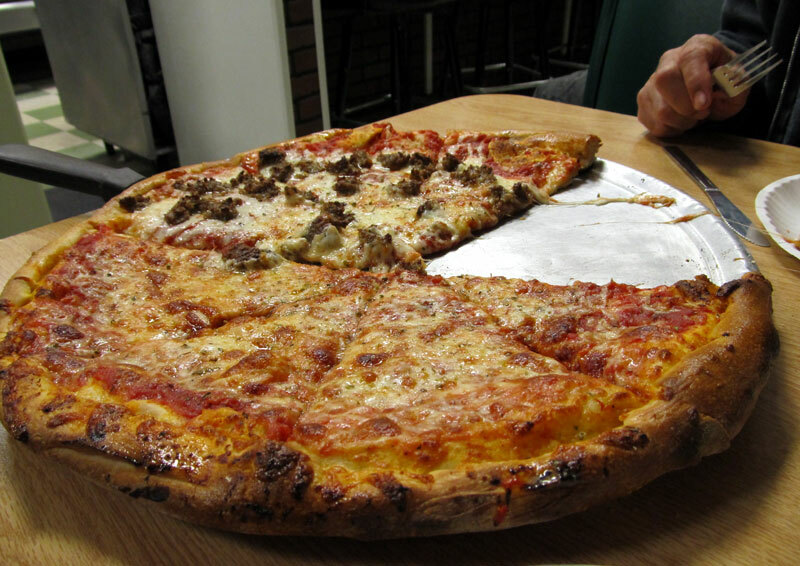 Initially, I saw the thicker crust on the pie and assumed that this would be one of those pizzerias that claim to serve NY style pizza, when in reality, their product is nowhere close when it comes to taste or structure. After all, St. Could isn't a town where I would expect to find good pizza. Once I tasted Cappello's pizza though, I realized I was wrong! I would rank this as one of the best pizzas I have had in a while!